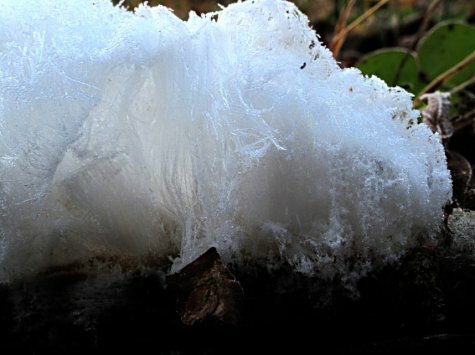 Fairy hair or ice beard or ice wool is a phenomenon which occurs in late autumn in calm weather when temperatures have dropped to a couple of minus degrees. From water-logged twigs and stumps but also coarser decaying plant stems water starts to freeze out as thin threads. The ice threads grow ever longer from the base but don’t become thicker. 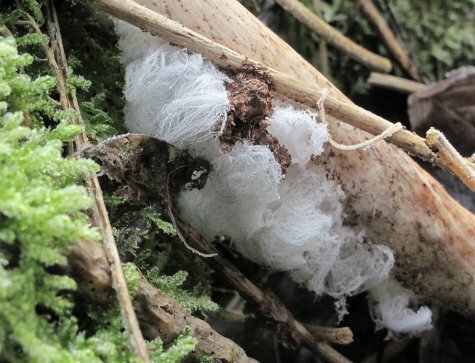 The separate threads stretch out from pores in the wood or plant stem, together forming a dense, airy sugar candy floss – woollen hair. 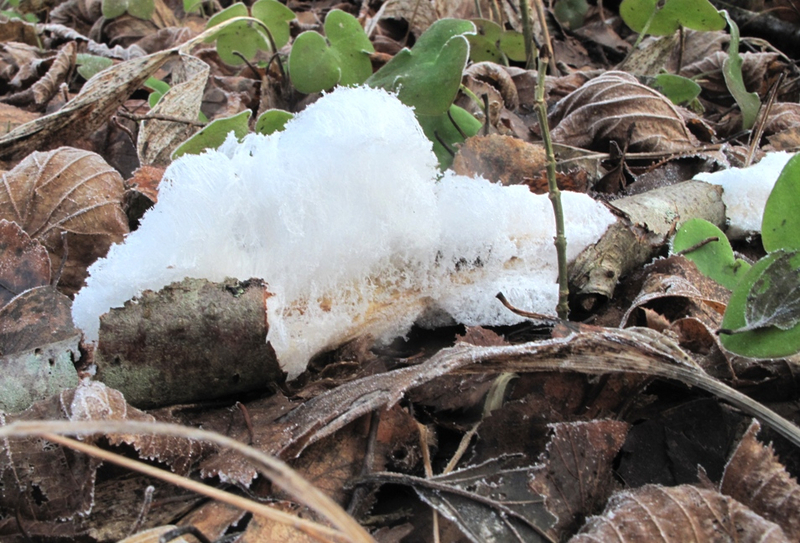 Distant relatives of the process are obviously frost heaving and needle ice. The meagre single degree of warmth in the afternoon made the Läänemaa wool shrivel – there are drops of thaw at the tips of the hairs.